, says Sangeeta, and flew miles back to the green pastures that was her home. For Green – the name of her entrepreneurial debut – reflected her upbringing, covering a wide range of organic produce and products from her farm, determination in her voice, “I want to bring a little piece of the countryside that is lost in the city life.” With a small offline store below her home Sangeeta, fostered her green dream. Even though the ForGreen store was well located, there were only a few footfalls. People who knew about the products didn’t show much interest and the business didn’t grow. She had started to get anxious and was thinking of other options that could help her business. 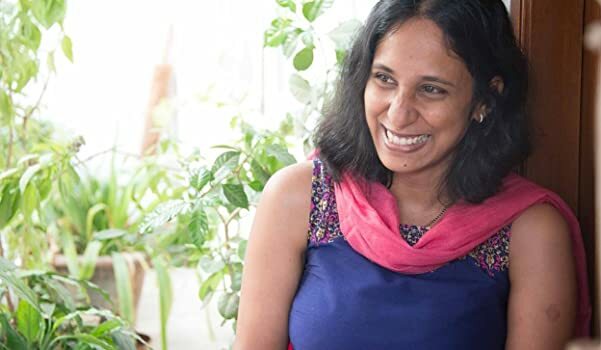 In 2013, she took her business online via Amazon India and within days she was able to navigate through the process of online selling with ease, racking 5 – 10 orders on a daily basis. Sangeeta recalls, “My first employee and I were ecstatic with the online response from Amazon”. With a stockpile to the roof of organic goodies for a healthier lifestyle, in a house rented close by she runs her business effortlessly now with the help of Amazon, constantly updating herself with Seller University webinars. “Now, I am even more confident with the help of Amazon India, we were not only able to expand our inventory of organic produce and products but also boost our reach and convert sales to profits – a huge percentage of our total sales come from Amazon.” Today, ForGreen is not limited to their retail outlet but it is spreading its green cover across the country. So what’s next? “We are trying to increase our range of products, the freedom to work with nature is limitless and Amazon plays a huge part in our lives. As a mother of two daughters, I find time to take care of my family and take my dream forward to a global consumer base", says Sangeeta.